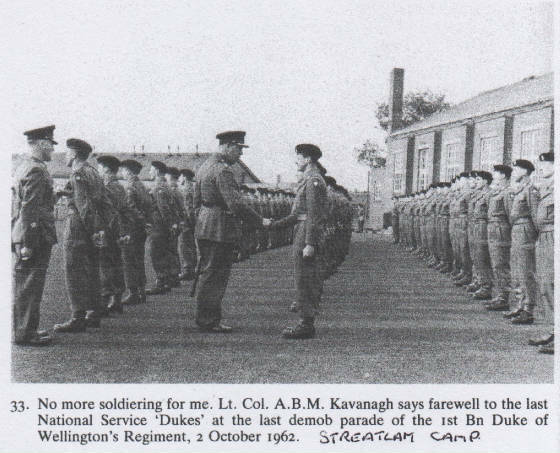 Regiment also served at Streatlam Camp in the sixties; I will get you the approx dates later. I myself was one of the first to be stationed with the 2nd GH in 52 before going to Korea with the Dukes. I loved being at Barnard Castle and still visit when at all possible. The 2nd battalion DLI were stationed at Deerbolt 1952. The Green Howards did a parade at Deerbolt September 1952 for General Sir William Slim. The 2nd Battalion Green Howards served at Streatlam Camp from 22nd April 1952 to 2nd April 1953. 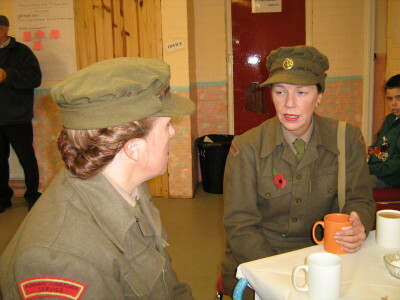 The 1st Battalion Green Howards served at Humbleton Camp from November 1952 to March 1953. The Royal Northumberland Fusiliers served at Deerbolt Camp from October 1952 to ? 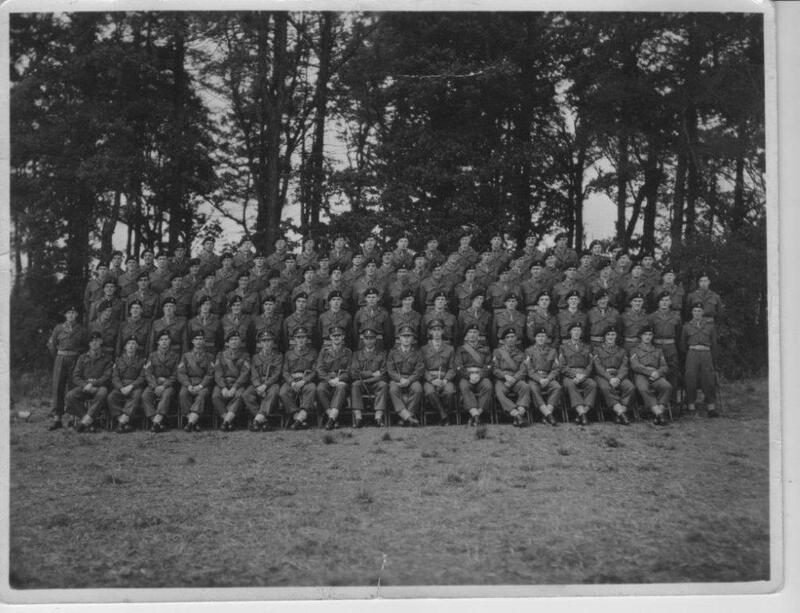 A Company 2nd Green Howards, Streatlam Camp, 1952. I am 3rd in the 3rd row from front L/H side. Over the years I have tried to find out those regiments that served at Streatlam camp as I am interested in the military. I am the founder member of The North East Area of British Korean Veterans of which I am chairman of the Scarborough & Ryedale Branch, vice chairman of the 2nd Battalion branch Green Howards and secretary of the Pickering branch. I enjoyed being stationed at Streatlam Camp especially the summer months training on Cotherstone Moor; it helped with my being a country lad and not town. The route marches were through all the villages such as Lartington, Cotherstone, Romaldkirk and Eggleston and up to the top of Woodland and back down to Staindrop. Another route we took was by Little Newsham and Cleatlam. We also did training at Hawsley Hill and passing The Little Brown Jug at Kinninvie with our tongues out. I left Barnard Castle late 1952 to go to Korea with The Duke of Wellingtons Regiment and returned to the Green Howards at Richmond in April 1954, although it is 60 years since I was stationed at Streatlam I still love going back for a look round also to Broomielaw station or what is left of it. The 2nd battalion have a large photographic display which is at Eden Camp, Malton. A few years age I was talking to a member of the Glosters who served at Barnard Castle and he said he thought Korea was desolate until he served there.